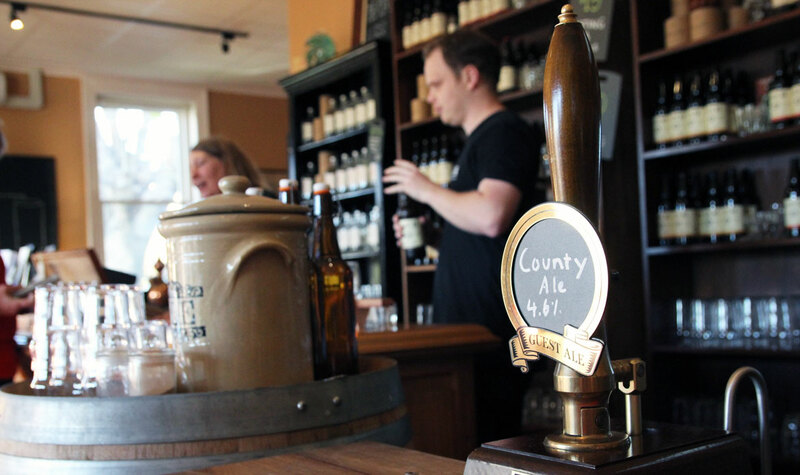 Normally when we publish a story about a brewery opening in a regional town it's a tale of the brewer bringing commercial brewing back to the area for the first time in decades, sometimes a century or more. 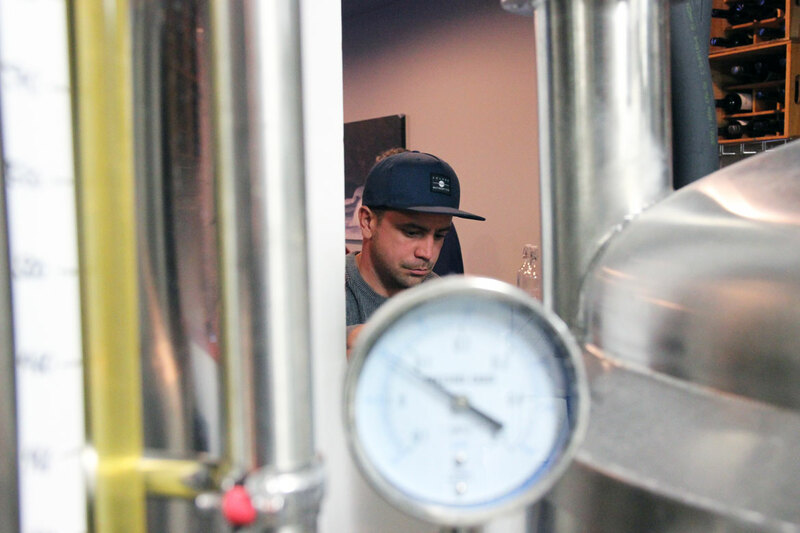 Yet, in the case of Ocean Reach, founder and head brewer Simon Bismire is bringing brewing to Phillip Island for the first time in its history. Those who have visited the island in recent years may have spotted other businesses on the island that have done or do use brewery as part of their name. Rusty Water Brewery pours its beers – recently rebranded under the Phillip Island Brewing Company moniker – at a restaurant a short drive from Cowes but does not yet have a brewery, instead brewing the likes of Koala Pale Ale under license at Prickly Moses. There was also the now defunct Penguin Brewery that contract brewed its beers, leaving Ocean Reach as the first to offer beers brewed on the island. They're brewed at a brewpub in the centre of Cowes. It was opened by Simon, his father Wayne and wife Alexandra at the end of last year, squeezing brewery, bar and kitchen into a tight space that was formerly a clothing store. The setup is tiny – the first of its kind designed and built by Australian company Spark Breweries & Distilleries – with a stacked brewhouse, just a couple of fermenters and three bright tanks sending beer straight to the taps – located all of 50cm away. Having been well received from the start, the greatest challenge, other than fitting everything in, has been a welcome one: keeping the taps filled rather than worrying about enticing people through the door. Simon pulling beers from tanks less than a metre away. "We got the building in June last year and were building right up until we opened," says Simon. "I was still washing and finishing the place while the doors were open. "We had to learn how to run a bar as none of us had worked in hospitality." And, as they were opening at the start of the busy summer season that learning process "was really fast!" Prior to taking the step up, he'd been brewing at home for just shy of five years, of which two were spent all grain brewing. "I'd always had the idea [to open a brewery] even when we were living in Bendigo, but it wasn't realistic logistically," he says. "I used to come down here to surf every weekend and Dad has had a house here for 15 years and always planned to retire here." So, with both he and his wife in jobs they didn't fancy doing forever and uncertain they wanted to raise a family in Melbourne, they took the leap – helped by his dad revealing he was retiring a year earlier than planned. Since making that leap, Simon's background in marketing has come in handy, as evidenced by the crisp, clean lines of the brewery's branding, while Alexandra (who "tasted all the bad homebrews before they got good") has been handling social media – when not looking after their first child, who arrived just weeks after the brewpub first opened its doors. Wayne is fully involved too. "Dad used to brew back in the day when it was bottles in the bathtub, using kits," says Simon. "He's got a real passion for the process of making alcohol – loves his wine and wineries – and helps with every brew." Getting creative with space – and Purple Hen wine barrels. Those brews have changed frequently since Ocean Reach launched. They're still working out what the core range will be, although an English style blonde ale looks set to be a mainstay, along with a pale ale, with the beers typically named after local surf breaks. When we called in there was a red rye ale, an IPA, a porter (our pick from the lineup) and a fresh hop pale ale pouring – the last of them brewed with hops grown on the island. They're being grown at Bimbadeen farm, where Simon sends his spent grain, and the plan is to work with local producers on the island as much as possible. The plan is also to offer beers in bottles soon after they realised how many visitors wanted something to take away. Ever resourceful, Simon was in the middle of building his own four head filler when we called in. The family is also working out how they can expand production – a challenge given their limited space. Presumably, they'll find a way, just as they found a way to kickstart a small barrel program. 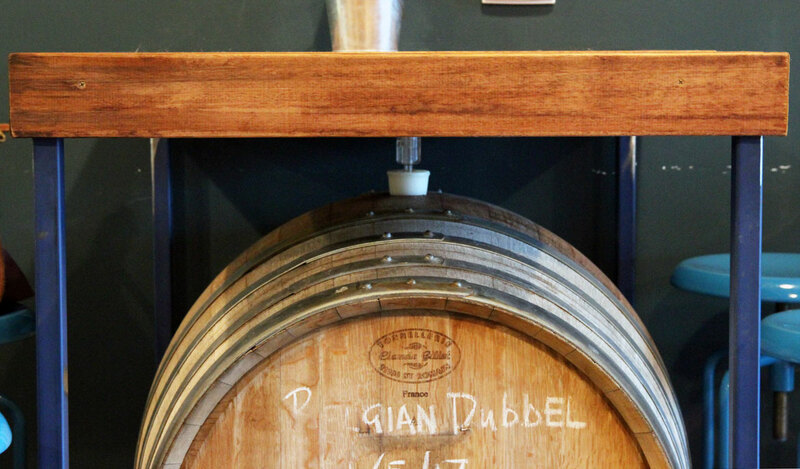 Having secured a couple of former wine barrels from Phillip Island winery Purple Hen, Simon filled them both with a Belgian style dubbel and has installed them under two tall tables in the bar. "I'm making it up as I go along," he jokes. "I do a lot of research into the science and chemistry of brewing, but with the barrels it's OK to get it wrong because that's where the magic happens." Ocean Reach is at 47 Thompson Avenue, Cowes. 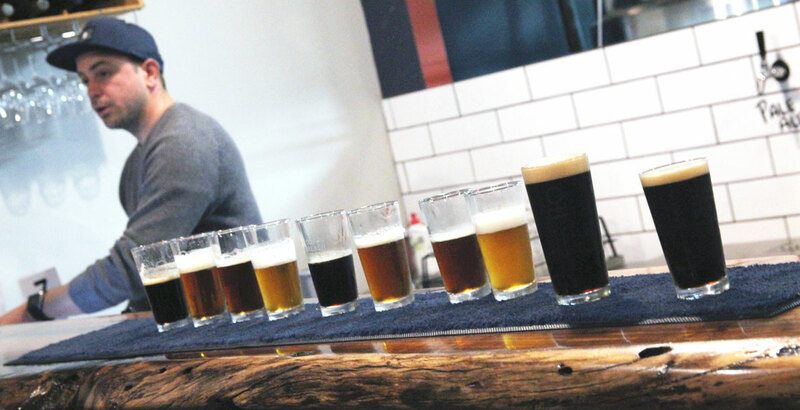 You can sample half a dozen Phillip Island Brewing Company beers on tap at Rusty Water Brewery, 1821 Phillip Island Road, Cowes. And it's well worth calling in to Loch Brewery & Distillery (pictured above). Check out our full listing here.